WHEN MOST OF US HEAR WORDS LIKE sticky, bacteria, acid, and decay we tend to cringe a little…and with good reason! Unfortunately, all of those words are characteristics of plaque and tartar—two terms that you’ve probably heard us use when we visit with you about dentistry! Don’t worry, there’s no need to panic—we have some handy tips on how to avoid plaque and tartar. But first, let’s back up a little. In order to figure out how we can best prevent plaque and tartar we need to know exactly what they are, right? The best way to understand plaque is to think of it as a thin, invisible film of sticky bacteria (and other unfriendly materials) that coat the surfaces of your teeth. The new term for this is BIOFILM. When sugars and starches come in contact with plaque, an acid is created that can attack your teeth for up to 20 minutes after you finish eating. Repeated attacks can break down tooth enamel and lead to cavities, decay, and/or gum disease. 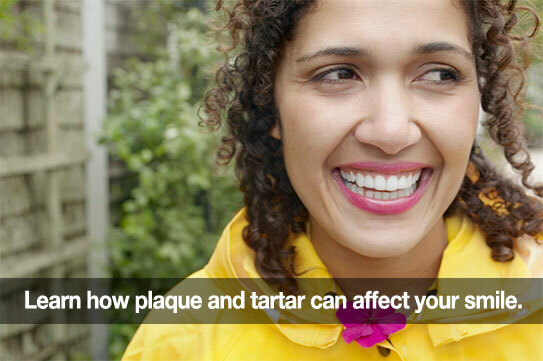 Tartar, on the other hand, is a deposit that forms when plaque hardens on your teeth. For most of us, tartar deposits begin to build up faster as we age. Unlike plaque, tartar bonds quite strongly to tooth enamel and can only be removed by a dental professional like Dr. Behner or one of our team members. Prolonged tartar buildup can cause a tooth’s enamel to break down, resulting in decay and/or cavities. So… in order to avoid cavities we have to avoid tartar, and in order to avoid tartar we have to avoid plaque. Here are some recommendations from Dr. Behner on the best ways to fight plaque and tartar buildup. Brush your teeth at least twice a day with toothpaste that contains fluoride and fights plaque. Brush for a full two minutes. Use a quality toothbrush and remember to replace it every three months, or as soon as the bristles have worn down. Consider purchasing an electric toothbrush. They are more efficient than manual toothbrushes. Use a tongue scraper, or brush your tongue once per day. More bacteria live on your tongue than on your teeth. Add a mouthwash to your routine to provide longer protection even after you’re done brushing. Consider one with essential oils in it. 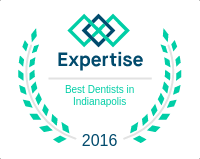 Visit Dr. Behner regularly for oral exams and cleanings so that any tartar buildup you might have can be removed. Take care of your teeth and fight cavities! Your bank account and smile will thank you. And since avoiding plaque altogether is impossible, don’t forget to schedule your regular dental appointments with us so we can help brighten your smile and keep your teeth healthy for life! Don’t forget to join us on Facebook by clicking on the image below so you can keep up with everything going on in our practice, and so we can get to know you better. We look forward to connecting with you there!